Great experience here. Free breakfast, dinner and 3 drinks. What a great deal. The staff, Dream went above and beyond our expectations. Highly recommended. Will definitely stay at this hotel again next time on business in town. One day used towels were left in the bathtub so clearly bathtub wasn't cleaned either. Housekeeping came to remove the towels once called. The hotel is okay for the neighborhood, I guess. Busy street, not much around but hotels and very few options for food. 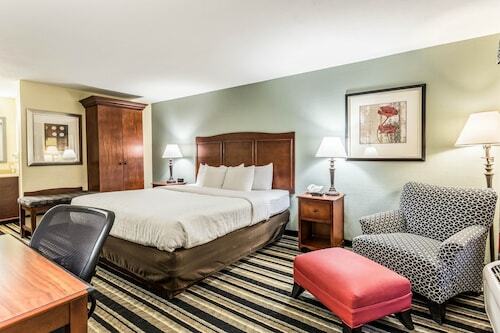 This hotel is more for working crews staying in the area for construction or highway jobs. Not a vacation hotel. So you're kicking around the idea of a holiday to Owens Cross Roads? If you want a place to call home that's located close to Owens Cross Roads attractions, use Orbitz to pick your travel dates, and then presto! Review the list of hotels and other accommodations to find those that are close to what you want to see while you're visiting. You may not find the ideal place to stay in the center of Owens Cross Roads, but you can pick from 128 accommodations within the larger area. Search by filters such as price, neighborhood, guest rating, or popular locations, depending on what's most important to you. We make it easy to find a convenient flight into Huntsville, AL (HSV-Huntsville Intl. ), which is 17.8 mi (28.6 km) from the heart of the city. Find the perfect flight quickly by using the filters on our site to narrow down your search. 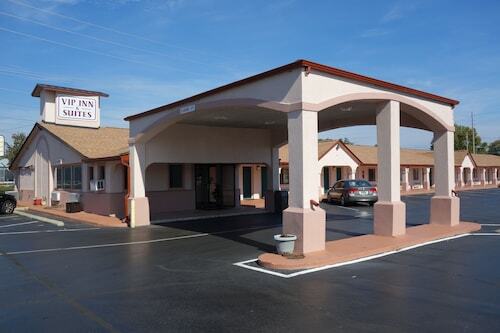 There may be a limited number of hotels and accommodations to choose from in Owens Cross Roads, but here some other options located close by to give you some choices. What's the Weather Like in Owens Cross Roads? Clean, large room, quiet A/C and heat. Good service. My stay at this hotel was just okay. Positives - the staff was extremely friendly, the bed was comfortable, the location was good. Negatives - although it was labeled as a non smoking room the room smelled like smoke, the room needed an upgrade, not really a breakfast. Would I stay there again? Yes, but it wouldn't be my first choice. There wasn't anything unique about the property, but it was neater and cleaner than some others that I have seen. The towels (face and body) were dirty. We had to ask for extras.